Experience all that the city has to offer while you stay with us. New Orleans is an area that is rich in both culture and history. 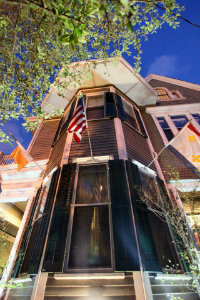 Our inn captures both of those aspects of this area, making your stay with us a unique and authentic way to experience the Big Easy. 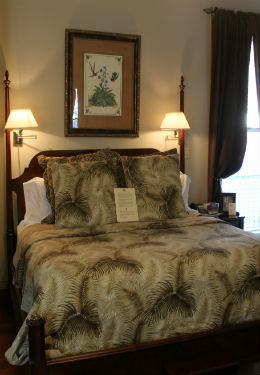 Located in Mid-City, our inn is a convenient lodging option for your stay. We are just minutes away from all of the area attractions, activities, and must-see spots. The Broyard Suite, located on the second floor, can accommodate up to 3 guests and features a king-size, four-post bed with custom linens and twin sleeper sofa, high-thread-count sheets, writing desk, flat-screen TV/DVD, ceiling fan, original coal burning fire place, iron and ironing board, guest robes, radio clock, and high-speed wireless Internet. 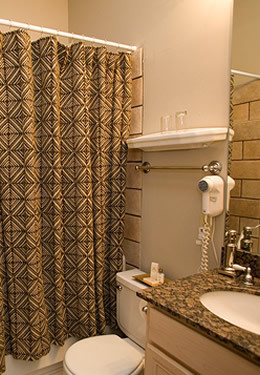 This room features a private bathroom with granite countertops, whirlpool tub/shower combo, and hair dryer. The Broyard Suite also features the use of an in-room iPad equipped with the new Inn Concierge app. This app is an enjoyable way to gather more information about 1896 O’Malley House and our lovely city.